You’d think from the coverage of the “Vatican recognizes Palestine” news story that this was some major change in policy. Some articles have implied it was a major “insult” to Israel, that it may even be “anti-semitic” and is anti-Jewish. None of the articles seem to explain any of the context or have even done the most mediocre investigation of the historic policy of the Vatican. The reaction that the Pope “involved himself in politics” and the Vatican has made a bad decision that harms Israel is missing decades of Holy See policies that have supported Palestinians. There is nothing new in this recognition. Most media reports missed some of the context. Mahmoud Abbas was visiting the Vatican as part of a canonization of two Palestinian nuns, one of them the founder of the Rosary Sisters. Thus it was fortuitous that the recognition should be announced before Abbas arrived. So not only did the media miss the historical context, it also missed the current context. The Vatican has long had an interesting relationship with the Holy Land’s recent conflict between Israel and the Palestinians. In 1947 when the UN sought to partition Palestine the Vatican worried for the safety of Christians living under the British Mandate, but most of all it worried about access and control of the holy sites in Jerusalem, Nazareth and Bethlehem. Since the 19th century Catholic orders had invested heavily in re-establishing a strong Latin presence in the country, building monasteries and converting some Greek-Orthodox to Catholicism. Catholic school networks were established. Pope Pius XII was outspoken in his support of internationalizing Jerusalem during the 1948 war. In Multiplicibus Curis, he called on countries to give Jerusalem “an international character” and to assure – “with international guarantees…freedom of access and worship at the Holy Places scattered throughout Palestine.” In a second encyclical, Redemptoris Nostra of April 1949 he stressed the same need for peace in the Holy Land and that the Vatican supported an international Jerusalem. This remained Vatican policy for decades, and the Holy See did not have relations with Israel. After Pope John Paul II was elected he made great efforts to heal relations with the Jewish people, and it was under his leadership that Israel and the Holy See established diplomatic relations in 1994. But in 1982 the pope met with Palestinian leader Yasser Arafat, which gained him the ire of Jewish leaders such as Julius Berman, then chairman of the Conference of Presidents of Major American Jewish Organizations. Despite protests over the meeting, the Vatican noted, ”The Holy Father is prepared to receive all men and women who ask for it.” A Cardinal said the Pope ”intending in this way to manifest his concern for all people, to further the aims of peace and to promote understanding among nations…I am sure that it is clear that the fact that the Holy Father receives someone in audience is in no way a sign of approval of all the ideas and actions attributed to that person.” The Vatican was clear: The Pope sought to show his “good will toward the Palestinian people.” The Pope would go on to meet Arafat 12 times through 2004. In 1992 when the Vatican was on the eve of establishing relations with Israel, pro-Palestinian voices wrote why the Holy See should refrain. Judith Martin, a professor of religion, wrote, “Would Rome be expected to recognize its 1948 UN-stipulated borders? 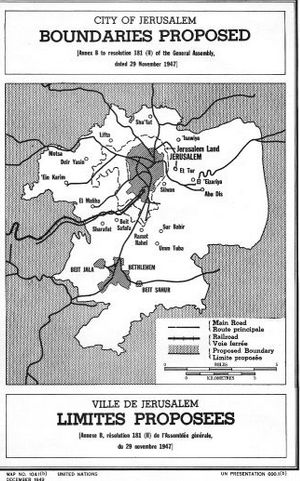 Its 1949 borders which included 22 percent of the land allotted by the UN to the Palestinians?” Martin noted a quote by Msgr. D. Causero,the Vatican permanent observer to the UN World Health Organization in a May 14, 1990 statement, “Once the Palestinian situation has been resolved, formal Vatican recognition will be no problem. The Holy See wants an internationally recognized solution,” Nevertheless the Vatican began relations with Israel, but kept its strong support for the Palestinian right to a state. There was nothing surprising in the Vatican recognition of Palestine, perhaps the only surprise was it took so long to be made so clear. It is not anti-semitic or anti-Jewish, given the long-standing role the Vatican has played in advocating this solution to the conflict. There is no change in the Vatican policy. If anything the current leadership at the Holy See has been more sympathetic towards Israel than in the 1980s and 1990s. Rather than seeing that, commentators are talking about how it hurts Israel’s “security.” There is no evidence that the Vatican decision, which is not really a decision as much as an outgrowth of long-held views, harm Israel. 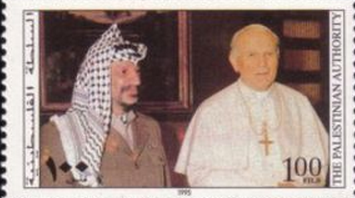 The Vatican was far more pro-Palestinian decades ago. European states are moving towards recognizing Palestine. The Vatican view is in line with that overall trend. Whether the Vatican policy on Jerusalem has changed is perhaps a more interesting question. But that remains to be seen.